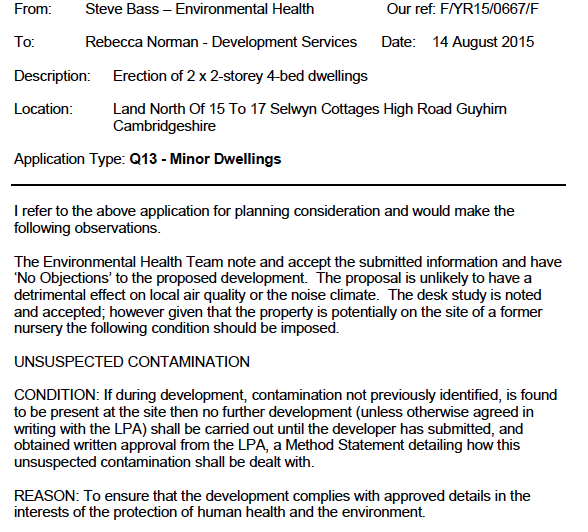 Given the sensitivity of the proposed development (residential) a contaminated land planning condition was attached to the decision notice for the original planning application (F/YR11/0478/F ). Demeter Environmental were commissioned to prepare the desk study report for the partial discharge of the contaminated land planning condition. 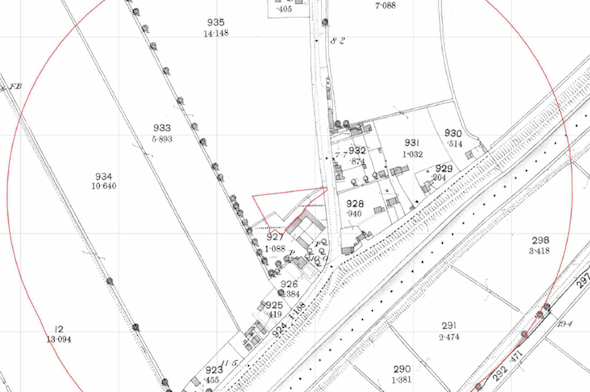 The first stage was to determine the site history using Ordnance Survey (O.S.) maps, aerial plates and street level imagery. The maps revealed the site was undeveloped until the 1920’s when the south western area formed part of an orchard, subsequent maps did not identify the orchard. 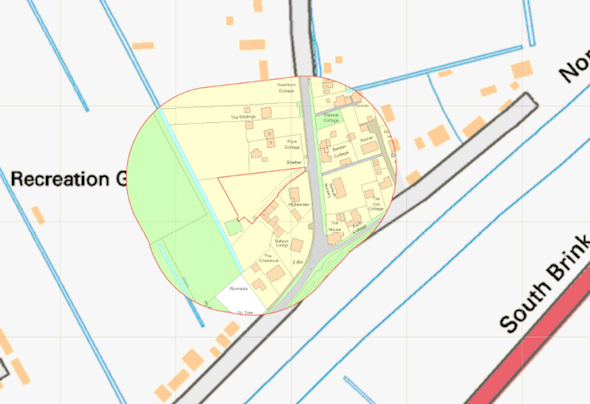 Data provided by the Environment Agency and Groundsure did not identify any potential sources of contamination. 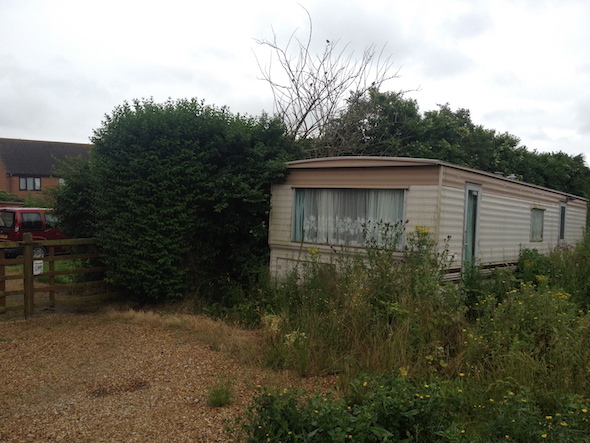 On completion of the desk based assessment a site walkover survey was undertaken, which confirmed the site comprised of an open parcel of overgrown land. Given that no credible sources of contamination were identified, the desk study report concluded that no further assessment/works were required. In order to support a new application for the site (reference F/YR15/0667/F), the desk study needed to be revised as the site boundaries had changed. The memo accepting the recommendations of the desk study report is here.